Chiropractic care can help you! 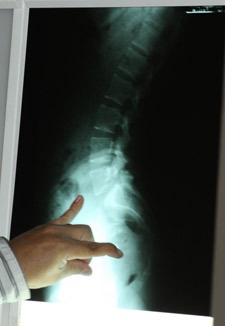 Our staff at Zink Chiropractic has reserved this very special appointment for you to review the results of your initial examination and x-ray findings with the doctor. If married, you are encouraged to bring your spouse. This is the only appointment that we request you leave your children at home as we want this appointment to be about you! Initially the chiropractor will spend about fifteen to twenty minutes explaining chiropractic and wellness in a group setting. Feel free to ask questions. Chiropractic is a unique approach to keeping your body healthier and we want to participate in your wellness journey. Next the chiropractor will review your exam findings in a private setting. We will let you know if you are a candidate for chiropractic care, how long we expect to see you, and answer any financial questions you have. If accepted as a practice member, you will receive your first adjustment and recommendations to follow at home. Also, we can pre-schedule future appointments to minimize your wait time during those appointments.